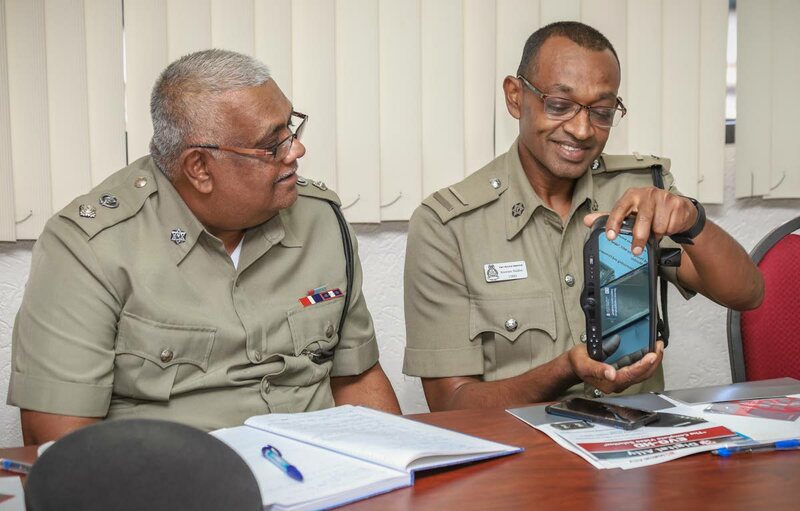 Traffic and Highway Patrol inspector Kissoon Badloo and senior superintendent Basdeo Ramdhanie examine a rear view mirror with camera which makes up part of the dashboard camera system. BROMARI was created to satisfy a need – to improve law enforcement through technology, said managing director Brennon King. "We've always been interested in providing technology to law enforcement," King, a criminologist told Business Day following a ceremony at the TT Chamber of Industry and Commerce's offices in Westmoorings, last Monday. The ceremony involved the handover of body and dashboard cameras to officers of the Traffic and Highway Patrol Branch. The equipment is being provided by US firm Digital Ally in partnership with Bromari, which King started in 2005. As a criminologist and having worked in a technical background from TSTT, King said, "It was an easy transition for me getting into the business." Dashboard camera to be used on vehicles of the Highway and Patrol Division of the TTPS. "Our first jolt into the business was with the TT Police Service providing them with basic equipment and clothing," he said. Bromai also worked with the Regiment. "Our background's always been in providing the latest technology that can actually bring meaningful change to the environment." Bromari's partnership with Digital Ally began in 2009. On whether the security business was a lucrative one to get into, King replied, "It's needed not so much from a business perspective but from a national perspective." 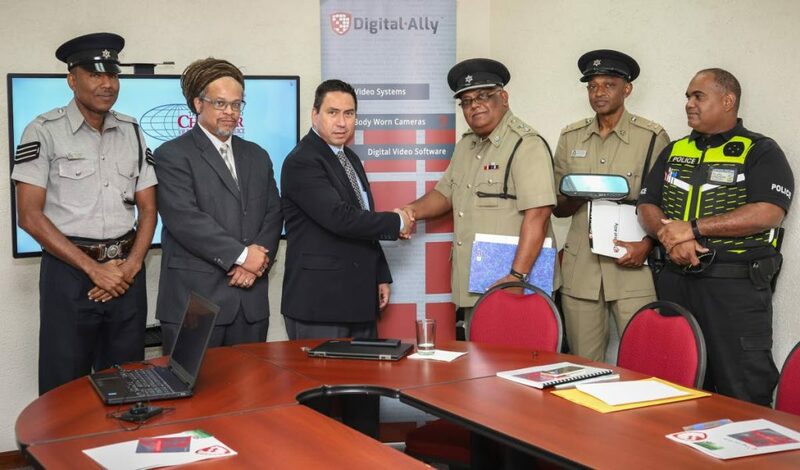 Rafael Polo, international project manager of Digital Ally, shakes hands with senior superintendent Basdeo Ramdhanie during the presentation of body and dashboard camera systems to be worn by members of the Highway and Patrol Division of the TT Police Service. Looking on are sergeant Orcil Phillip; Brennon King, managing director of Bromari Ltd; inspector Kissoon Badloo; and Brent Batson, road safety coordinator. "When we talk about crime there are many facets to crime. Technology is only one answer," he said, adding there are "many other things to be done simultaneously." Apart from Digital Ally, Bromari has partnered with other companies over the years. Based in Diego Martin, Bromari is defined as a supplier of military equipment and accessories. Ballistic gear, optics, tactical gear, armoured vehicles, aerial surveillance systems and paintball markers are some of the equipment which the company is involved in supplying. At the ceremony, Digital Ally international sales manager Rafael Polo said the company serves all 50 states in the US and 80 countries. The company is based in Lenexa, Kansas. 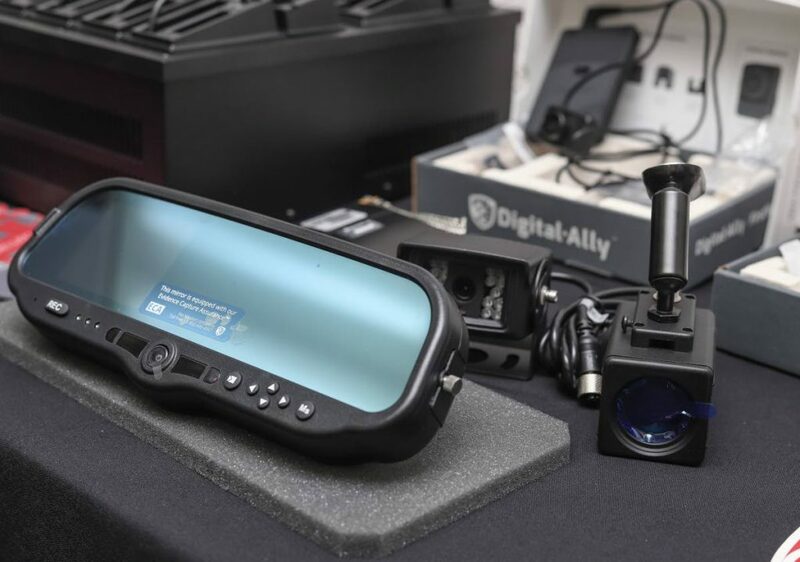 Digital Ally, to date, has sold more than 120,000 pieces of equipment to various clients. Polo said Digital Ally partners extensively with law enforcement agencies worldwide. He explained the changing landscape in law enforcement has resulted in technology like cameras becoming as important to police officers "as the radio and the gun." Polo spoke of instances where police officers would not go out in the field without cameras. Some members of the Highway and Partol Division of the TTPS would soon be wearing body cameras as part of a pilot project. The body cameras are designed to mimic the human eye in different environments. The cameras are also water resistant. Polo said the use of body and dashboard cameras in the US have saved law enforcement agencies millions of dollars in lawsuits. He explained this was because people act differently when interacting with the police because they know they are being recorded. Similarly, he said the use of the cameras would discourage police officers from engaging in certain kinds of negative behaviour. On its website, Digital Ally said studies have shown when video is deployed by a law enforcement agency, officer performance and professionalism increase dramatically. There are improved community relations between the agency and the general public. Video deployments always coincide with an increase in successful prosecutions and officers spend less time completing paperwork and making court appearances. Assistant Commissioner of Police (Mobile) Joanne Archie thanked Polo and King for the provision of the cameras. 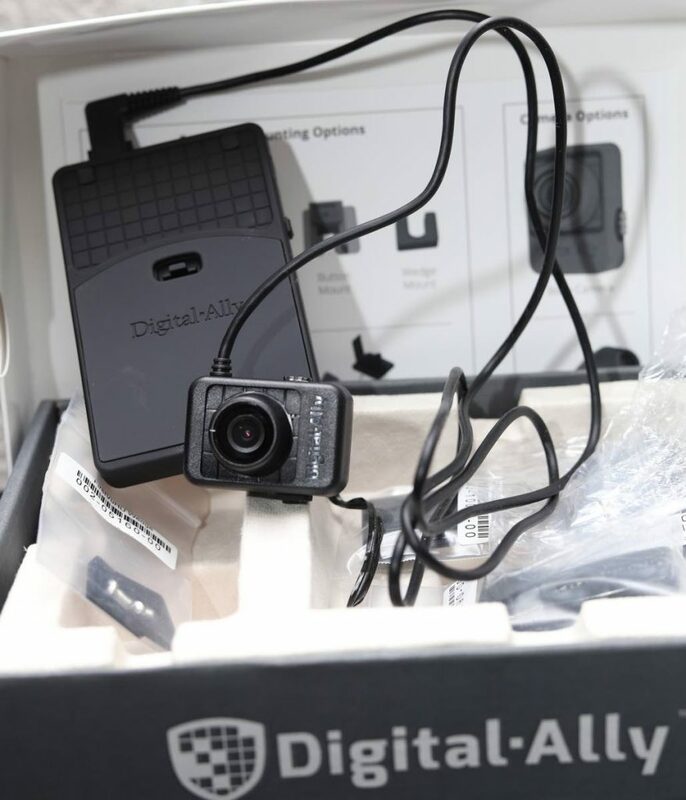 The initiative is a pilot project involving the provision of three dashboard cameras and 12 body cameras to the Traffic and Highway Patrol Branch. Archie was confident the cameras would assist the police in their duties and hoped there would be "more positive developments" coming out of the initiative.